Multi award-winning writer Patrick McGuinness will talk about his work in a free public lecture in the Old College, Aberystwyth at 11.30am on Saturday 16 April 2016. The lecture takes its title from the author’s memoir Other People’s Countries which recalls his childhood days in the Belgium town of Bouillon and which won the Wales Book of the Year (English-language) in 2015, as well as the Duff Cooper Prize in 2014. It was the second book by Patrick McGuinness to pick up the Wales Book of the Year title. 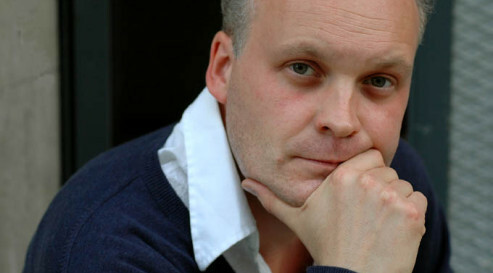 He also won in 2012 for his novel The Last Hundred Days, a political thriller set in Ceauşescu’s Bucharest in 1989. In his open lecture on 16 April, Patrick McGuinness will draw on his writings to explore further the links between literature, identity and cultural belonging. His keynote speech at Aberystwyth is part of a two-day forum on developing audiences for international literature which is being organised by Literature Across Frontiers (LAF). Literary curators and creators as well as publishers and other industry professionals from across Europe and Asia are expected to attend the forum. “The forum is one of the highlights of the Literary Europe Live project which Literature Across Frontiers is co-ordinating as part of the Creative Europe Programme of the European Union and we are delighted to have a writer of Patrick’s calibre here with us,” said Alexandra Büchler, Director of LAF. Entry to the lecture is free, thanks to sponsorship from the Learned Society of Wales. “As a society, it is a pleasure and a privilege to support a lecture by such an eminent writer as Patrick McGuinness and all are welcome to join us to hear what I have no doubt will be a fascinating talk, with a special resonance in a small country” said Ned Thomas, Fellow of the Learned Society of Wales and President of the Mercator Institute at Aberystwyth University. A Professor of French and Comparative Literature at Oxford University, Patrick McGuinness lives with his family in Caernarfon in North Wales. The International Literature Forum is organised by Literature Across Frontiers as part of the Literary Europe Live project co-funded by the Creative Europe Programme of the European Union, with support from Arts Council Wales and the Welsh Government through Creative Europe Desk UK – Wales.